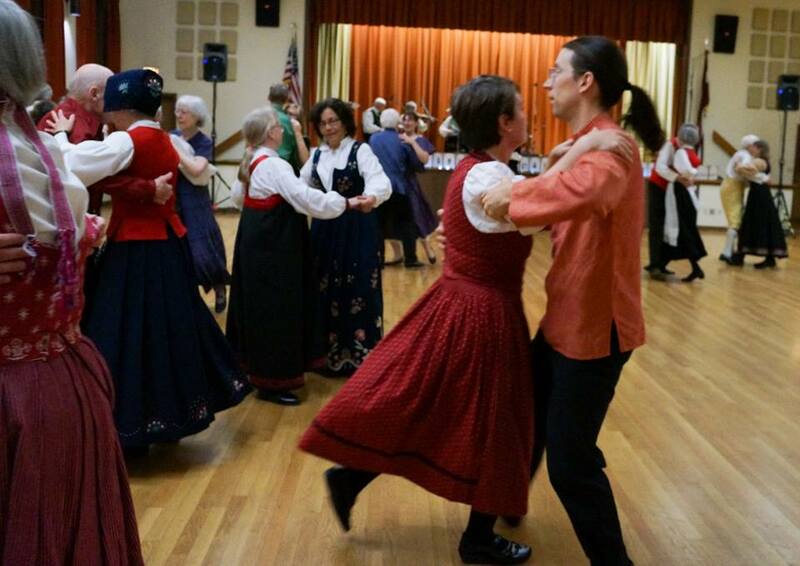 Skandia Folk Dance workshop Saturday, January 20, 2018 with Judy Patterson and Jerry Walsh teaching Valdresspringar, accompanied by music from Karin Code. This is an energetic and fun dance done to lively hardingfele music, from the Valdres valley in Norway. As with other springars, and like swing dancing, there are several possible moves that the lead chooses to dance with the follow, including a fast couple turn at the end of the sequence. No partner necessary to attend the workshop. 10am – 4pm, Cedar Valley Grange, 20526 52nd Ave W, Lynnwood. Skandia members who preregister pay $30; day-of-workshop admission will be $35 per person for members and nonmembers. For more information, email or call 425-954-5262.